Designer Series Paper, Flowers, Occasions & Sale-a-bration, Stampin' Up! New Sale-a-bration items available this week! WOOHOO… the Sale-a-bration party just got bigger!!! There are some fabulous new Sale-a-bration items coming on 15th February. There will be three brand new items to choose from (in addition to the others that are already available.) 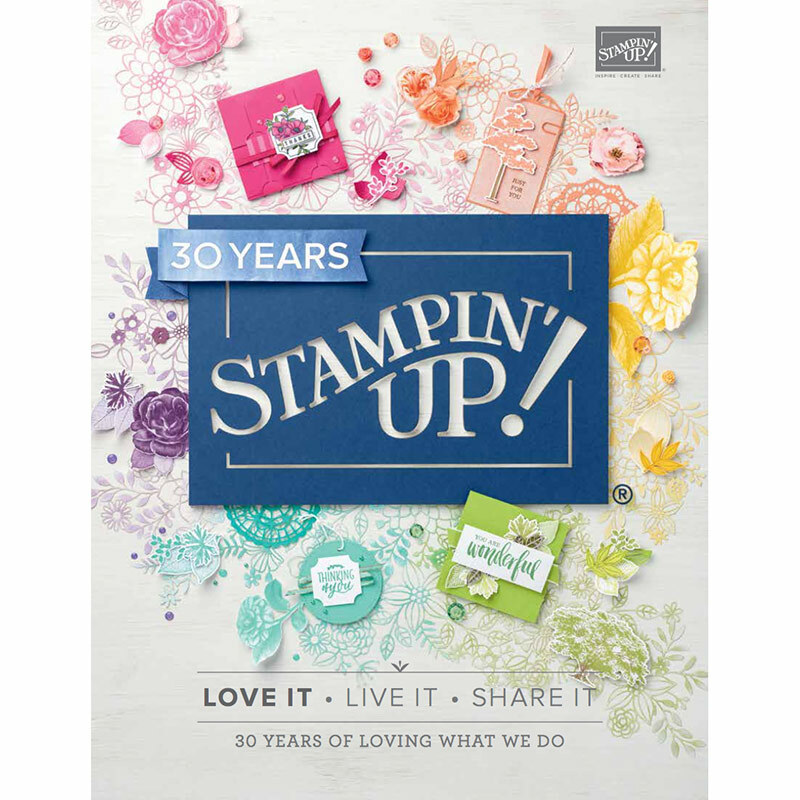 At Level 1 ($90), there is a new stamp set and an embossing folder! But, at level 2 ($180), there is a BUNDLE!!! It’s a wonderful stamp set bundled with some stunning Designer Series Paper and I’ve already ordered them and they are on their way (yes, because that is one of the many perks of being a demonstrator)!!! New Sale-a-bration Items Coming 15th February! If you’d like to see the new items coming, just click the picture below to download the brochure. This new level 2 bundle will definitely be a huge hit and has already entered my heart as a must have! You get the stamp set and the designer series paper and you too can select it as your free item with a qualifying order between 15th February and 31st March 2019. 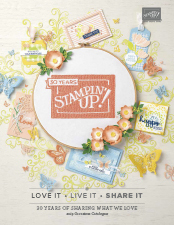 Check out this video from Stampin’ Up! showing you an up close look at the products (click pic below). But wait, there are more New Products coming in March 2019! Not only are there NEW Sale-a-bration items available from 15th February, there are also new products being released, but only for the month of March to purchase. So here is a sneak peek of these NEW PRODUCTS. Hint; no more fussy cutting! and there is also this wonderful “More than Words” photopolymer stamp set and a new punch! The Four Seasons Framelits will be available to purchase from 1st March to coordinate with the Painted Seasons Bundle (available 15th February 2019). Isn’t this exciting? I wanted to make sure you see these new products so you can plan your next order! I am super excited for 15th February and again for 1st March 2019!